Would an Assistive Technology Device Be Helpful for Your Child? If you have a child with a disability in school this year, he or she may benefit from an assistive technology device. Just a few examples of these devices are magnifiers, screen readers, walkers, wheel chairs, electronic communication devices and a multitude of apps for tablets, computers or phones. 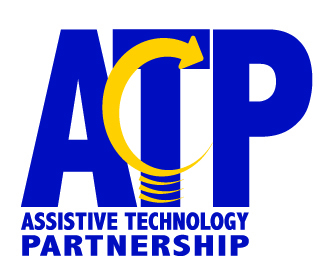 The best local resource for student-related questions about assistive technology is ATP, or the Assistive Technology Partnership, specifically the Education program. The ATP-Education program has undergone some structural changes this year but is still offering the same services as it has in the past. We are providing Training, Technical Assistance, Awareness, and Demonstrations/Loans of assistive technology to education personnel, early childhood personnel, families of, and professionals working with children with disabilities (birth to 21). One of the bigger changes the program has undergone is the addition of myself, Kristi Berst as the new Program Coordinator. Feel free to contact me at Kristi.berst@nebraska.gov if you have any questions or suggestions on things we could do to serve Nebraskans better. Beginning September 1st, 2018 this form will be replaced with an online request form located on the same page to make the process quicker and simpler. You can send an email to atp@nebraska.gov or call our toll-free number 877-713-4002 to request a training or put in a request to have a Technology Specialist contact you to discuss your assistive technology needs.